FAT-BOY CLOTHING: DicE Issue 43 Release Party / Chun Benefit........ Burbank, California! 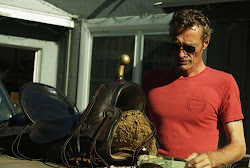 DicE Issue 43 Release Party / Chun Benefit........ Burbank, California! 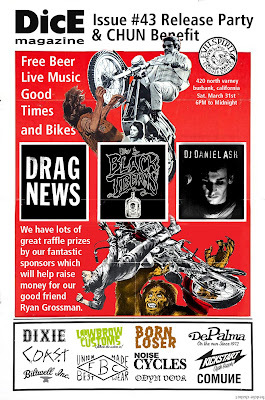 Live Bands: The Black Tibetans & Drag News. 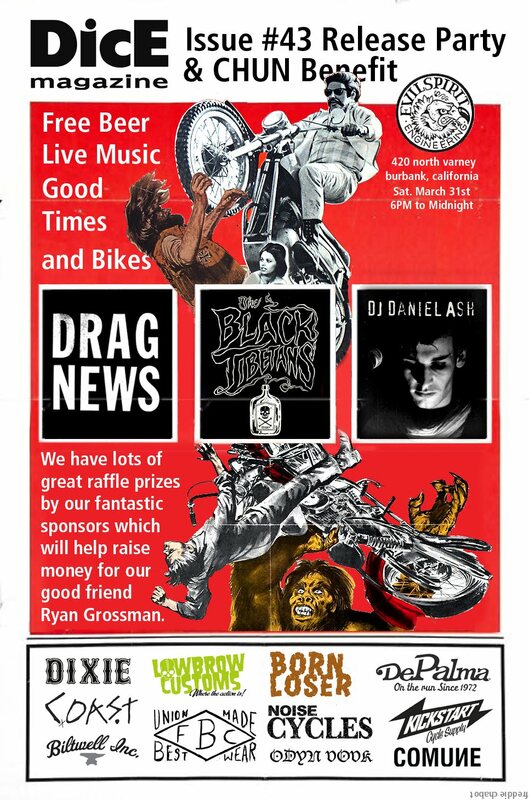 Lots of great raffle prizes by our fantastic sponsors which will help raise money for our good friend Ryan Grossman who took a spill last week and broke his leg in 2 places.